Posted on March 31, 2018 by Lisa B. The Bloomington-Normal Modern Quilt Guilt met on Tuesday, March 27, 2018 at Christ Lutheran Church. 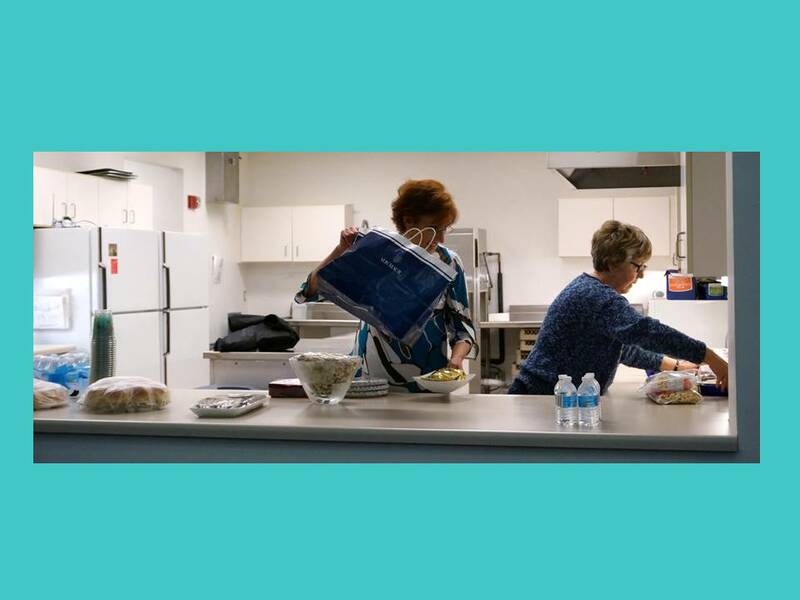 Thirty-eight (38) members were in attendance, and we welcomed a new member, Tresa G. President Kathy C. thanked the members who provided this month’s treats, Carrie O. and Becky B. who provided us with lots of delicious snacks. While everyone was enjoying socializing prior to the beginning of our meeting, we were able to enjoy pictures of some of the quilts from this year’s Quilt Con. Ann G our member from CA provided the pictures. 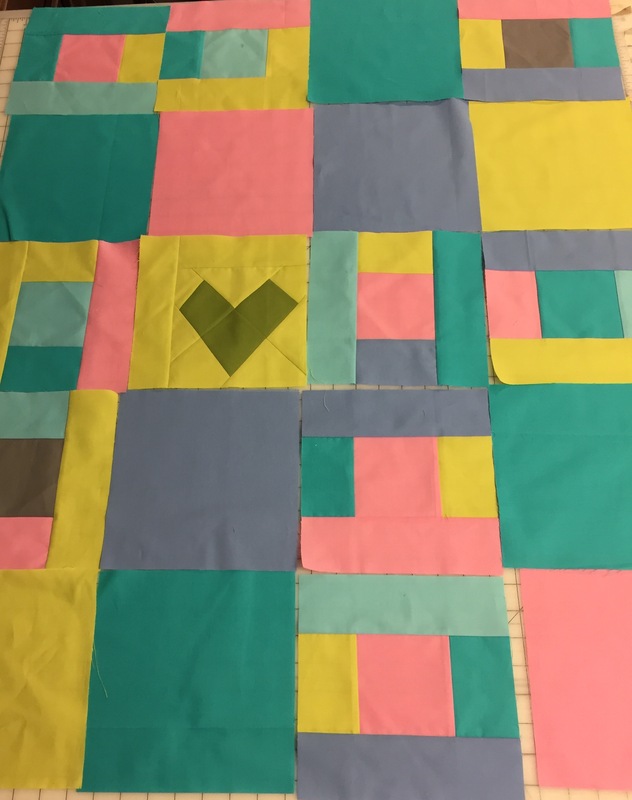 Thanks Ann G.
Kathy C. thanked Becky from Boline’s for hosting the guild to work on the Heartbeat quilt blocks at our March Sew Day. Julie D. one of our nominating committee member, announced the other two members of the committee, Carol Lou E. and Paula M. If you would like to be a part of the board for our guild, please contact any of these three ladies to let them know. All the board positions are available to run for this year. At this time, we have one person for each for treasurer and secretary. So please give this some serious consideration to become more involved in our guild. As Julie said, we are a community and will be there to help and support our board officers. You can find Julie D., Carol Lou E. and Paula M, email addresses in the members’ only section. On-going sign up for our Spring Workshop Day – April 21st at the church. We have two projects this time – Donna L. will be leading us in making a work in progress bag and Nancy P. will be leading us in making notebook covers. The cost is $40 for the workshop and a $5 option for lunch if you’d like to have it provided for you. Posted on March 21, 2018 by Lisa B. Get those creative juices flowing! March means Heartbeat Quilt design night. Members have been working at sew days to make blocks and on Tuesday we will be designing quilts with them. It’s a fun night to practice your modern design skills and to have fun with your quilting friends! We’ll also continue our discussion about the modern mini challenge. This month the topic is quilting tips. If you haven’t had a chance you can still sign up! Member signup for the fall retreat begins this month. There are 25 spots available. Details at the meeting or on the blog in the recap. Also, don’t forget to sign up for the April 21 workshop! Posted on March 2, 2018 by Lisa B. The Bloomington-Normal Modern Quilt Guilt met on Tuesday, February 27, 2018 at Christ Lutheran Church. Forty-three (43) members were in attendance, and we welcomed three new members, Pam W., Faye Z. and Sue O. Our social refreshments were provided by Lisa F. and Kris Z. who provided us with lots of delicious snacks. President Kathy C. thanked the members who provided this month’s treats. Kathy C. shared a book which was given to the guild from Studio Art Quilt Associates. It has pictures of quilts, some are from Quilt Con which was held in Pasadena, CA this year.